A gorgeous set of 72 Alaskan flower essence cards. Stunning pictures on the front and, on the reverse, the name of the flower, the latin name, keywords for the essence and affirmations. Alaskan Hydrosol spray 120ml, available in Frankincense or Sweetgrass. Special Order. Animal Care is primarily intended for use in animal rescue work, although it can be given to any animal in need. It will be most valuable when it is integrated into the initial care provided any animal who arrives at an animal shelter, treatment centre, veterinarian clinic or sanctuary. This formula is also a must when adopting a “rescue” animal. Two DOTs in one pack. 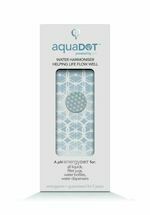 aquaDOT creates energetically pure water, clear of toxic energetic imprinting from artificial electromagnetic frequencies. Stick on water filter, dispenser, water bottle or cup. Take a look at this short video clip. 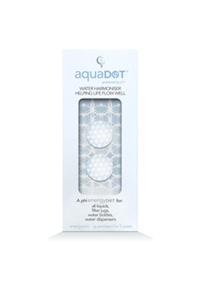 aquaDOT creates energetically pure water, clear of toxic energetic imprinting from artificial electromagnetic frequencies. Stick on water filter, dispenser, bottle or cup. Take a look at this short video clip. A must read book for animal lovers everywhere, ANIMAL HEALING with AUSTRALIAN BUSH FLOWER ESSENCES gives very practical hints for keeping your animals fit and happy as well as dealing with their problems of health and behaviour. This carefully researched book gives extraordinary insights into the emotional world of your animals and explores the healing powers of Australian Bush Flower Essences. There will be £1.50 extra postage on this book, due to it's size. • An index of illnesses and their treatment. A concise illustrated reference summary of each of the 69 Bush Essences together with all the Combinations. This book is available individually and is also included as a complimentary addition in the Australian Bush Flower Essence Stock Kit.